Find out more about Dana King at danaking.blogspot.com. I will tempt you to go there by saying he is also a trained musician. We are celebrating the release of his tenth book, Ten-Seven by Down and Out Books. You can find it in all the usual places.I have known Dana for a number of years but mostly online. I think he first came to my attention by writing a swell story for a flash fiction challenge. Once I crossed a street with him though. I think it was in Philly at Noircon. Q-You have written something like ten books in the last six or seven years. How on earth do you manage it? What do you credit your prolificacy to? A-The joke’s on you. A book typically takes me a year to a year-and-a-half to write. My perceived accelerated output comes from an excellent piece of advice I got from my first agent, the late and wonderful Pam Strickler: Don’t wait for the first book to sell before writing the second. Or third. Or fourth. It took me so long to get the first one published I’m still living off the backstock. Lucky for me I have enough in the pipeline to get me to retirement when I should be able to knock them out with more regularity. Q-You have two series as well as a standalone. What traits distinguishes Penn River novels from Nick Forte books? A-The most obvious is that the Forte stories are first-person narrator and the Penns River books have multiple close-third person POV. The Forte stories are as much about Forte and his issues as they are about the case, which is not unusual in PI fiction. 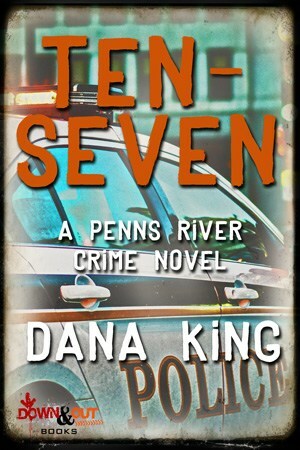 In Penns River the main focal point is the town itself, and how the crimes described affect it and the police force. The writing for Penns River is crisper, what Charlie Stella once referred to as a “documentary” style, where Forte may go off to explore his own thoughts. Q Similarly, do you know right away which series a new novel will be part of? Do you come up with an idea first or do you begin with one or the other series needing an addition? A- The idea comes first and I usually know which series it belongs to, though that’s not always the case. The third Penns River novel, Resurrection Mall, was originally a Forte story until about 35,000 words in. I wasn’t happy with where things were going and every page was a struggle, so I set it aside and took a good hard look at everything about it. The problem was I had the story in the wrong series. All I saved was the title, the name of the televangelist (Christian Love), and the slogan he used for his converted mall (“Not razed, but raised”) and the Penns River version wrote itself, relatively speaking. Q Does one series or the other come more easily? A- Penns River seems to come more easily lately. I think it’s because I keep up with the local news in the three small towns on which it is based. It’s also a lot easier to find cop memoirs and books on techniques than it is for private investigators, so I can take real cases in different directions. The ensemble cast helps a lot, as there are angles I can explore by making one character or another more important. I can’t do that with Forte, as he’s the person telling the story. That said, I have an idea for a kickass Forte story in the back of my mind. Q Can you give us the elevator pitch for this latest one? A- A random act of violence leads the police through multiple suspects while they try to keep their heads above water with all the other everyday things small town cops have to deal with. Q If writers write in a tradition, whose novels does your work most reflect? Or perhaps more easily, whose writing do you most admire? A- This list changes over time. 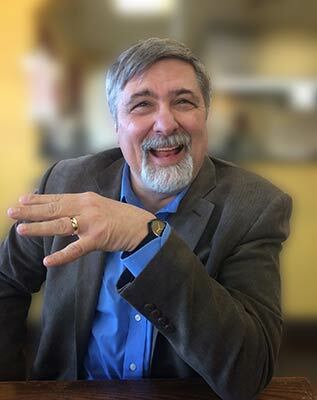 I wrote the first four Forte books first because of the influence of Raymond Chandler and Robert B. Parker. Now I’d have to say I’m most influenced by Elmore Leonard, Ed McBain, and Joseph Wambaugh. Those are the Big Three I go back to when I need a prod—them and Dashiell Hammett, with a little George V. Higgins thrown in for dialog—and reading them is always like taking a class. Q What is hardest for you as a writer- the idea for a story, creating characters, editing, coming up with a memorable ending, not letting social media distract me, promoting my work. A- No question, it’s promotion. Like most writers I’m an introvert. I like some level of attention, but it goes against my nature to seek it out. Everything else is at least a little fun, in part because those are the parts I have some control over. Once I’m in a promotional situation—could be an interview, a signing, or on a panel—I’m fine, but having to approach people to get those opportunities is the hardest, and most uncomfortable, aspect of writing for me. Thanks. I have three of Dana King's books on my Kindle, but like so many others, they get pushed aside by newer library books. My kindle is the biggest bookshelf in my house. I am reading BECOMING on there though. If only because it is my reading group's next choice. Since the library has started making more and more books available on Kindle, it has enabled us to download stuff without leaving the house - last winter most of the books Jackie read in Florida were downloaded from the Brooklyn Public Library! Thanks for this opportunity, Patti. You're right: it was at Noircon a while back. I'd also like to thank you for hosting those flash fiction challenges. I think they were as responsible for my evolution as a writer as anything else I've done, forcing me to be concise and trim out things that didn't need to be there unless I could give myself a good reason for including them; the default position was to cut. I'm a much better writer for the experience. I think those flashes helped me too. Easier to see what is excess and flab now. THanks for the interview. Best of luck. Really interesting interview - thanks much, both!